Putting aside its absurd attack on carbon dioxide, declaring the most essential gas on Earth, other than oxygen, a “pollutant”, the Environmental Protection Agency (EPA) is currently engaged in trying to further regulate ozone for no apparent reason other than its incessant attack on the economy. 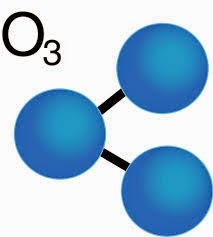 According to Wikipedia: “Ozone is a powerful oxidant (far more so than dioxygen) and has many industrial and consumer applications related to oxidation. This same high oxidizing potential, however, causes ozone to damage mucous and respiratory tissues in animals, and also tissues in plants, above concentrations of about 100 ppb. This makes ozone a potent respiratory hazard and pollutant near ground level. However, the so-called ozone layer (a portion of the stratosphere with a higher concentration of ozone, from two to eight ppm) is beneficial, preventing damaging ultraviolet light from reaching the Earth’s surface, to the benefit of both plants and animals. In a rational society, imposing such job losses and increased costs when the problem is already being solved would make no sense, but we all live in Obama’s society these days and that means increasing ozone standards only makes sense if you want to harm the economy in every way possible. It’s not enough that Obama refuses to uphold his oath and to perform the duties of the Executive branch to uphold the law. He allows the EPA to break the law in order to advance his stand on the false claims of climate change, with total disregard for the citizens of the United States and the economic disaster he seems to have a hunger for. Barry should be behind bars on death row for being the liar king criminal! PLEASE congress MUST put and end to the EPA before they set America back to the dark ages. The EPA is a radical un elected agency that is operating outside of the law and any oversight from congress. The EPA MUST BE DEFUNDED AND DISMANTLED NOW!! I was an environmental engineer when the EPA was created by Nixon. In its initial years the EPA did some good regulations like Hazardous waste, water and initial air pollution, and oil pollution from leaking tanks. The EPA had a good model to follow on hazardous waste since the state of Texas was way ahead and had its own regulation which was given to EPA. However, it has continually grown in its power grab as an agency and exceeded its authority. The classification of CO2 as pollutant is the worst example since there is no proof that it is. The EPA must be cut down to a size that reflects both sound environmental changes and includes solid evidence that their regulations assist the economy or at least have minimal harmful effects. Congress must pass regulations that limit the EPA overreach and harm to the economy. Immediate control can be done by reducing their funding and demanding that EPA present valid calculations on the negative and positive benefits from any proposed rulings. There must be real congressional oversight on all regulations from this agency and all agencies.